All things of beauty are created by the details. 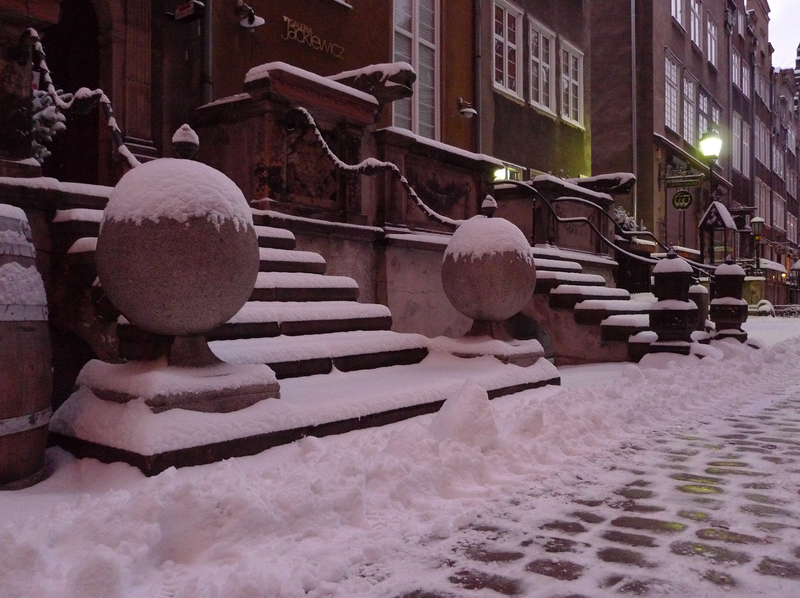 Here you can spot some of both on a quiet little street in Gdańsk – covered with freshly fallen snow, (yet more) early in the morning. This entry was posted in Gdańsk, Poland, Snow, Travel, Winter, Winter Wonderland and tagged Gdańsk, Poland, Snow, Travel, Winter, Winter Wonderland. Bookmark the permalink. I was just on that street about 2 weeks ago, such a magical little place! The photo is great! Gdańsk is truly magical altogether! I completely fell in love with it. Also, I’m glad you’re enjoying my perspective!